Description: 86 in MS-62 with only 205 higher at PCGS. Overton 101 - R1. 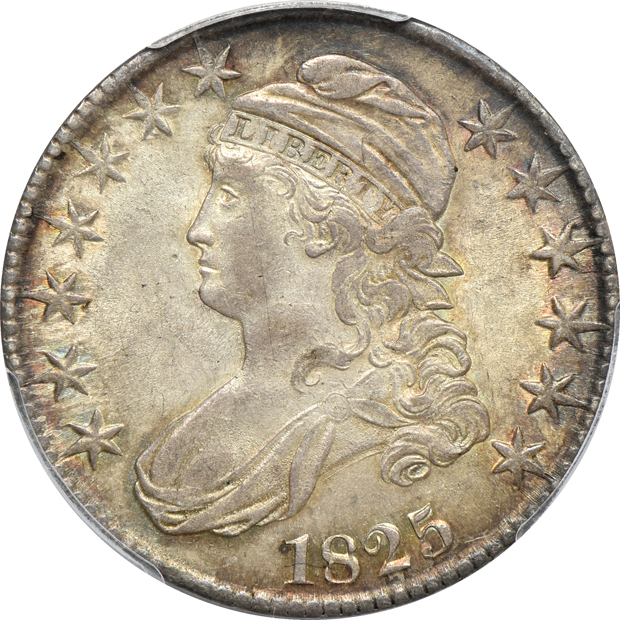 This 1825 Capped Bust half-dollar in PCGS MS-62 features richly toned iridescent peripheries with the undipped original crusty look that collectors love covering both sides. 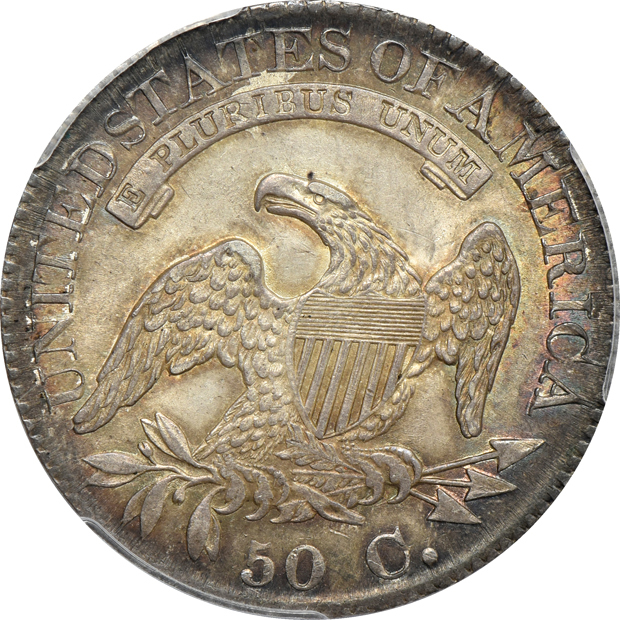 Well struck and free of any major distractions, this coin would make a great addition to any collection (ls).